Zee Tags Australia , supplier of tag printing options for over 17 years, introduces its range of visual tags comprising one piece tags, feedlot tags, two piece female / male tags and hog tags. The unique one-piece tags feature a self-piercing surgical tip, which reduces infection and disease transfer. Made from a soft and flexible material and available in eight (8) bright colours, the one-piece tags are easy to read because of Zee’s guaranteed non-fade pens and superior printing. 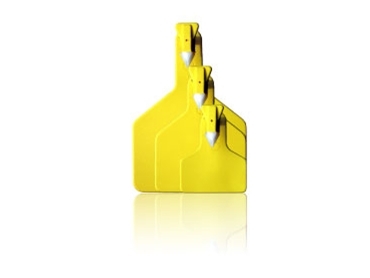 The Zee feedlot tags are ideally suited to live exporters and are extremely fast and easy to apply. With superior retention in both long and short-term feedlot applications, these tags minimise ripped ears thanks to their “flick out” pin. Complete safety for operator and animal. The Two Piece Female / Male Tags feature a free-rotating tag design which ensures the tags hang correctly and offer maximum visibility. The self-piercing surgical tip of these tags reduces infection and disease transfer while the new revolutionary two-piece Zee Tag Organizer pairs up male and female tags ready for use, avoiding unnecessary frustration. The Zee Tags One Piece Hog tags incorporate a unique design that allows tags to sit flatter on the pig’s ear. Chewing of the tags is therefore discouraged and retention rates are enhanced. The tag features self-piercing surgical cutting tips, which are designed to reduce infection and disease transfer.